If you’ve just started using RaveBuild, the number one thing to remember is that we’re just a phone call away. We are serious about providing quality, and personalised customer service to our clients and make a point of being there for you. You can book a training session with one of our friendly staff members to help with the initial setting up and learn how to effectively utilize RaveBuild features. It’s a small time investment that will save you a tonne of time in the long run – and we’re happy to help. Additionally, you can take a look at our online Help Desk. Ensure your contractors and subcontractors can easily access and use RaveBuild. Once the app has been downloaded on their mobile devices, they can see where and when they need to be as well as any important updates while on site. Information usually obtained through a phone call or text is now easily found in the click of a button. If your contractors’ downtime is minimised, your company’s efficiency will be maximised. Once you’re set up with RaveBuild you will be the owner of a RaveBuild powered portal customised with your company branding. This portal allows your clients to log in on any device and see an array of information on their build progress at their leisure. They can be kept informed throughout the entire journey without calling you or making as many site visits – if any at all! Make sure you take the time to give your clients their login credentials and show them how to use the portal so they can feel involved in their build without the hand-holding. RaveBuild offers an extensive range of features that will help various users and make your building projects run smoothly – however, it takes some practice before you’ll be using them all at max capacity. Start with features that can be used immediately by your employees like adding clients, adding follow ups, loading schedules, assigning contractors to tasks, and contractor access. These features are straightforward, easy to learn, and useful stepping stones for achieving streamlined processes and communication within your business. Let your staff grasp the smaller features before introducing them to more complex features such as CRM, time sheeting, tender management, project management, progress payments and more. Taking baby steps means systems can be implemented in a way that is non-confrontational for your employees. 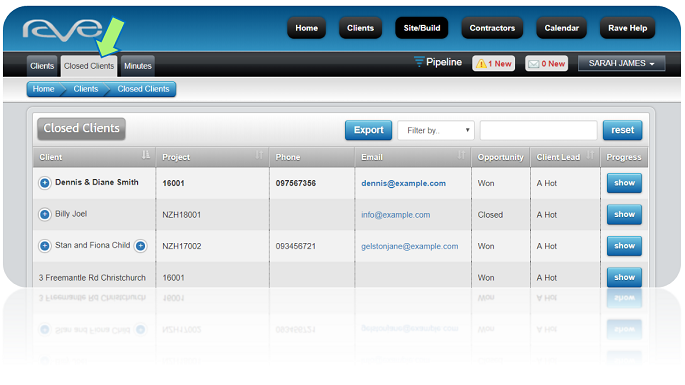 Adding all of your current builds to the platform makes it easier to merge your business’ operations into RaveBuild. 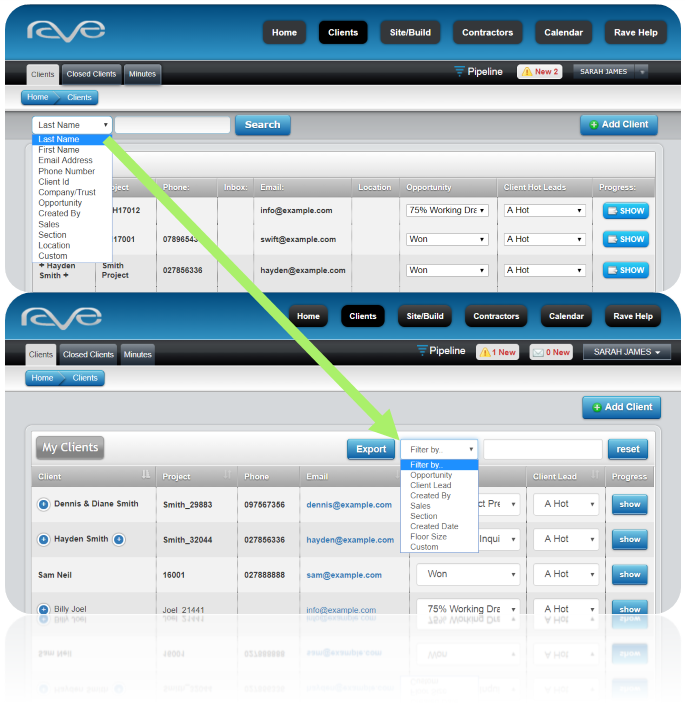 It’s common for new users to initially load only one of their projects into RaveBuild to trial the system. While it’s only natural to shy away from putting all your eggs in one basket, keeping the remaining projects independent from RaveBuild makes it tricky to successfully integrate the software into your company. Eventually, you will have a template for every different kind of project your business caters for. Each one will include project stages, schedules, tasks, expected task durations, and deadlines for that particular project type. This means every time you add a new project, you can select which type and the major details of the build are already right there in front of you. Give yourself a pat on the back! You’ve closed a deal, but the job is far from finished! While you have unlocked a new client, you have also entered a vulnerable period. Just because a client has signed a contract doesn’t mean they’re a ‘loyal’ customer yet. Immediately post-sale, clients want reassurance that they’ve made the right decision – they will be on high alert to gain the satisfaction consumers look for directly after making a big purchase decision. The connection you build with them in this time is therefore vital! Why is the post-sale follow up so important? 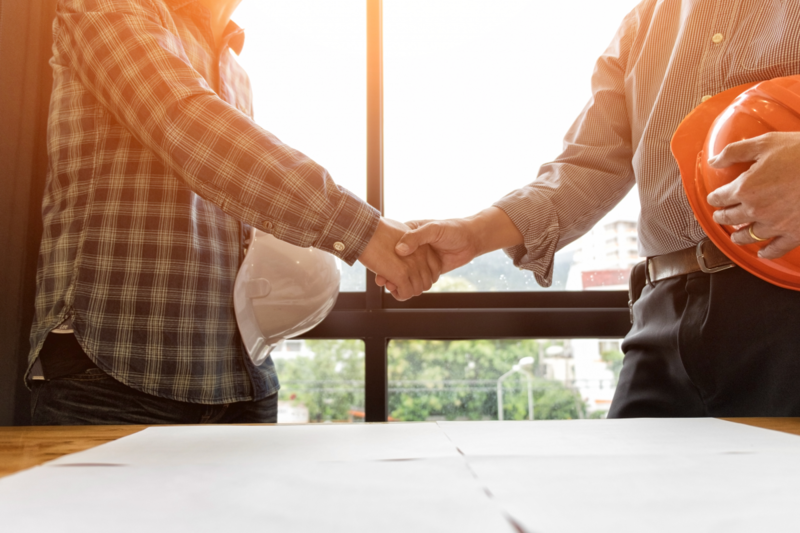 A key fact often overlooked by businesses when it comes to sales and marketing is that winning new customers bears a much greater cost than retaining existing customers. In fact, acquiring new customers can cost seven times more than retaining current ones. 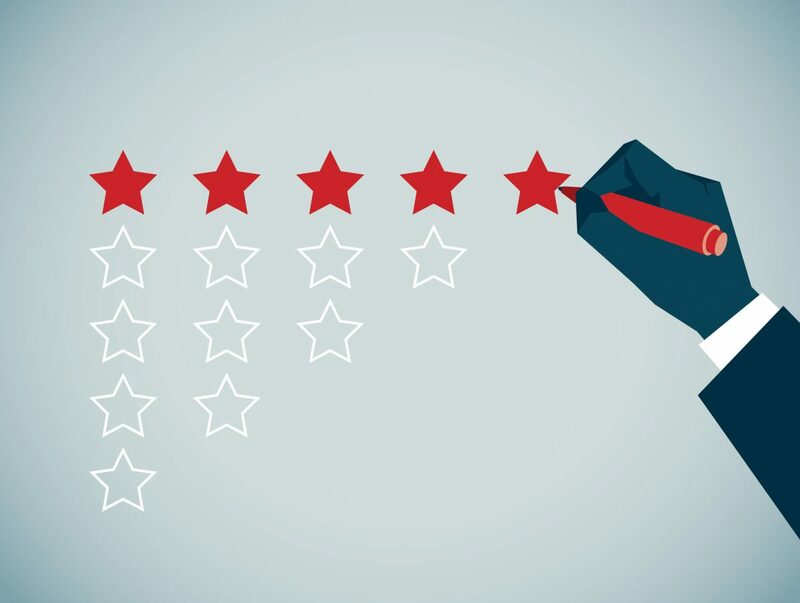 According to Frederick Reichheld, the founder of Net Promoter Score, a mere 5% increase in customer retention leads to more than 25% increase in profit. The reason being that customers tend to progressively buy more from a company they are loyal to, which results in diminishing operating costs to serve them. In addition, loyal customers will almost always be willing to pay more with a company they know and trust. This is due to the high perceived risk associated with switching. Lastly, returning customers recommend your company to others. Here’s 4 tips to get your post-sale follow up sorted! Let them know you’re in it for the long run, and you’ll be there to hold their hand throughout the entire process. Give them your contact details, and someone to contact if they have any questions or concerns. 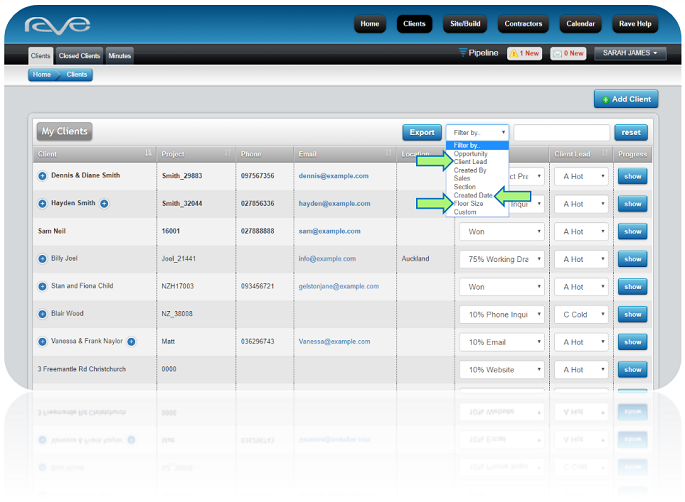 One of the features RaveBuild offers is setting reminders to meet, call, or email certain customers at specific times. This means you’ll never forget to make this crucial post-sale communication. In the midst of the digital era, automating contact points can seem like the most simple and efficient option. While this may be true, making a personal connection is what will earn respect and build trust. An automated ‘Purchase Confirmation’ email may be okay for a customer who has bought a $30 shirt online, but for a customer making a highly involved purchase decision, such as hiring a building company, the need for assurance that they’re dealing with humans and not robots is much greater. When you add a client in your RaveBuild account, you can add significant details about them you may have picked up on. These types of details, like having a dog, or that they love cycling, can then be used to connect with them on a more personalised level. It’s not surprising that selling a service requires you to give your customer more attention than if they were buying a one-off product. Furthermore, a customer investing a lot of money to build their dream home, potentially the biggest purchase they’ll make in their life, will be needier than the regular consumer. This is especially true for a service involving so many variables and possibilities that things won’t go exactly according to plan. The RaveBuild app gives you the option to create your own company branded portal for clients. They can login on any device to see important updates, site photos, and budget spend at their convenience. Ultimately clients are kept involved throughout their build journey which brings peace of mind while minimising the need for unnecessary phone calls. Use existing clients’ feedback as a reference point to refine your value proposition and areas of focus moving forward. Your clients’ needs and concerns translate to invaluable knowledge that can be capitalised on. 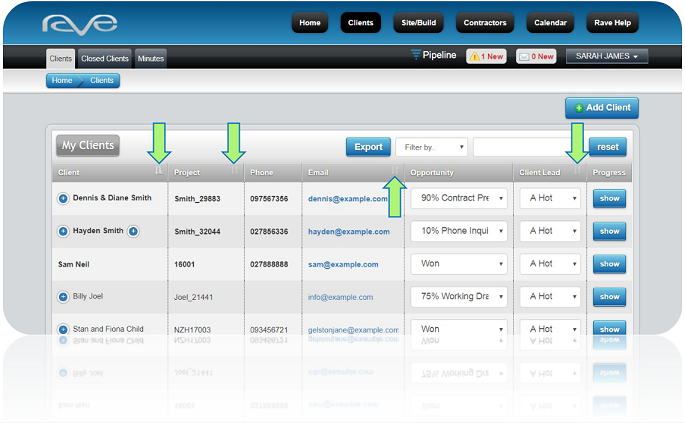 When you ask your clients how they heard about your company, you can record their answers in the RaveBuild customer account page. Use this information to gauge what marketing mediums are the most effective and focus your budget spend accordingly. In the construction industry, word of mouth is your biggest weapon. A customer who is signing a building contract is making a huge commitment. They are well aware of this before making their final purchase decision, so you can be sure they’ve done their research and asked their friends, family, and colleagues for advice. The opinion of an outsider is also seen as more credible than self-made claims. All considered, word of mouth is one of your best marketing vehicles, but the only way you can control it is by ensuring your clients are no less than 100% happy. So use these four steps to create a successful post-sale follow-up strategy and build long-lasting client relationships!